Britain's favourite TV cook, Mary Berry, spoke with unaccustomed asperity about some of her fellow TV culinary celebrities. She reserved particular scorn for Gordon Ramsay, the chef who enjoys cosying up to celebrities while cursing lowly minions. 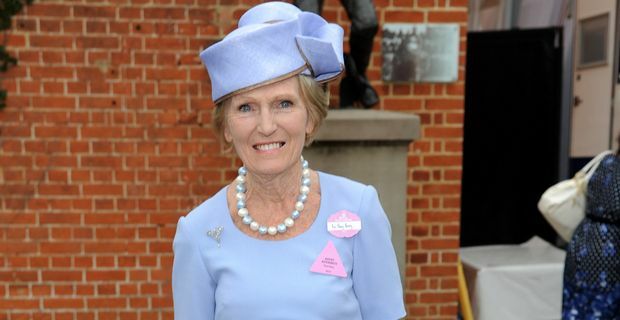 "I hate Gordon Ramsay's programmes," she told Radio Times ahead of a new series of The Great British Bake-Off. "I don't know if he's been told it makes good television." She claimed her show's popularity was enhanced by its civility. The Great British Bake Off is family entertainment. There aren't many programmes where all ages can sit and watch from beginning to end," she said. "Everything else is violent, cruel and noisy. We're educational without viewers realising it." Berry has come round to Jamie Oliver, although she was not a fan initially. She still refuses to call him by his matey first name. "James Oliver is a joy," Berry said. "I saw him yesterday and he agreed that when he was 23 he was irritating, bumptious and over the top, but he's made cooking fun." Berry at 78 has no need to play along with producers' ideas of what would make good television, preferring to go with the simple approach that has won huge audience figures. "We're immensely honest," she insisted. "Normally producers say it would be better television to have a mix of men and women in the finals, or someone from Scotland, but there's none of that." Bery is also uninterested in the trappings of modern celebrity. "I'm a showoff," she said, "but only with things I do well. I won't do Strictly or any of those ghastly reality programmes. I'm a Celebrity would be the end. It makes me shudder." She presumably also shudders at the recent tabloid attention on fellow judge Paul Hollywood's love life. Hollywood's indiscretions have been splashed all over the front pages. It would be a daring contestant indeed who made reference to them when Hollywood started criticising their soggy-bottomed tarts in the new series. Oi, don't you know who I am?